Hear ya. That’s the conundrum of our times. Ugh…I hope the Louisana family sues the applicable law enforcement agency that searched their home. There are plenty of frivolous lawsuits but one over a violation of Fourth Amendment rights is almost never wrong. ….called the media to report a Confederate flag…..
how is it that these students know to be terrified of anything that looks like a gun but don’t know what the square root sign is? could explain why we have fell from number one in the world in education to 24th. and we have the highest paid teachers in history. Tis true, tis true – stupid is our age, and writ in large neon lights too. But we must never say the truth that stupid truly remains just plain old stupid. That would be mean of us, and show that we are ‘oppressive’. What wonders can we all expect as math is made feminist, and not racist too? There was also the case of the six-year-old kid in Colorado Springs who got suspended for pointing his index finger and saying “Bang, you’re dead” during recess. And the kid in Oregon who got suspended for wearing a “support our troops” shirt (it had a picture of an M4-type rifle on it). And the boy in Virginia who got suspended for playing with an Airsoft gun in his own yard, nowhere near school property. But Clock Boy got invited to the White House. Maybe the kid who drew the square root symbol should claim to be a Muslim. Weapons of math instruction: I have a Hewlett Packard 32Sii and I’m not afraid to use it! Drew a picture that ‘resembled’ a gun? Man, back in my day (not oh so very long ago) we drew, and used, actual guns. Maybe my whole generation should be in jail. Wait, isn’t that what the Coalition of the Insane wants? Sorry, I misspoke. I meant to say ‘Confederacy of Dunces’. VtK: Please correct – Nash @6 is correct. The story is ludicrous enough w/o the typo. I’m beginning to think our police are pursuing the British constables in the race to uselessness. Pretty soon they’ll be spending their time policing twitter while crimes are committed w/o relief. How can we spend $100K++ educating students for 12 years and yet cops and teachers fail to identity a square root symbols. God forbid the kid would draw an inequality symbol and raise the ire of the Human Rights Campaign. Watch the video – you only have to wait for a few seconds for the punchline. 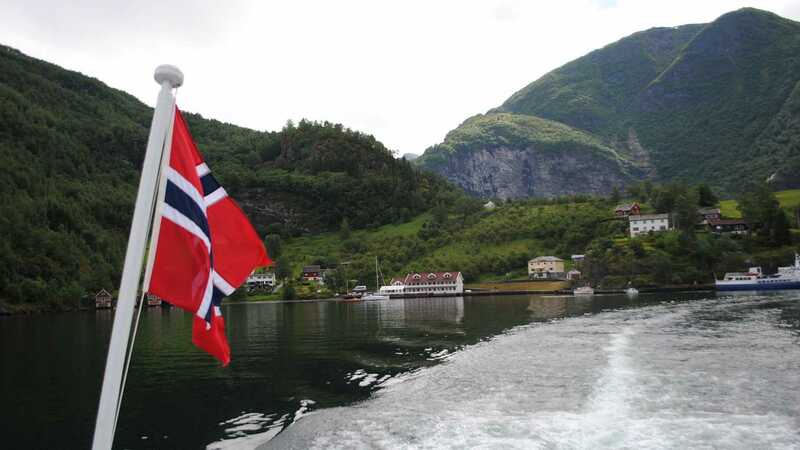 It’s obvious to me that we demand Norway change its flag to avoid triggering people. And don’t get me started on flags with a cross on them (Sweden, Finland, etc)… and the Union Jack – St George was a crusader for Gaia’s sake! If our genius guardians of virtue freak out at the sight of a Norway flag mistaken for a Confederate flag, then how come the same geniuses don’t suffer an unrecoverable heart attack at the sight of the Nazi flags they compulsively project 24/7 on whoever happens to disagree with them about whatever? 4 deputies outside the school when the police arrived. This is too much. We are now in the realm of conspiracy. @20 look into sheriff Israel. it might explain a lot. Wait…I am confused…which one is getting expelled? The one who said it looked like a pistol or the one who made the lame math joke? Neither one should be. @20 and 21, that sheriff has been photographed with Hillary Clinton, Joe Biden, Bernie Sanders, and Debbie Wasserman Schultz. It is not unusual for local public officials to greet visiting VIP’s and political candidates, but there don’t seem to be a lot of pictures of Sheriff Israel shaking hands with Trump, Bush, Ted Cruz, or Marco Rubio. And now there are reports that the Coral Springs (city) police ran into the building while the Broward County deputies waited outside. Maybe the sheriff’s department received the memo from the DNC, but the city police department didn’t. @5 Dav – try to keep up. 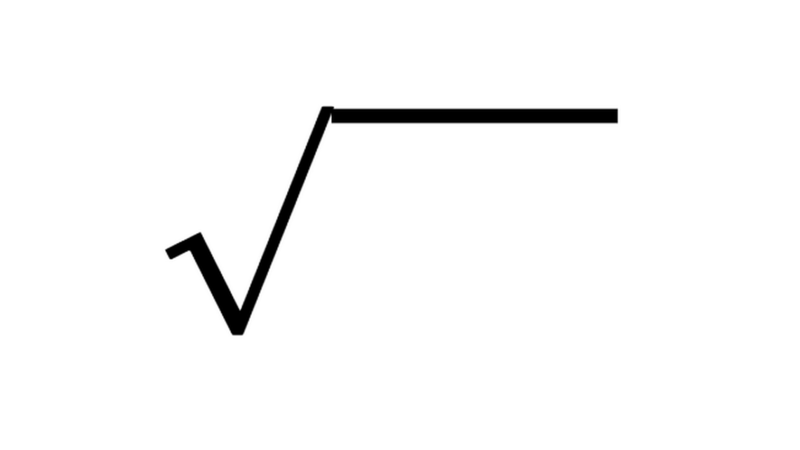 square root signs are a like a gateway drug, a basis to higher mathematical THOUGHT. Zero tolerance policy is an attempt to brainwash kids into unTHINKing panic at the very idea of a self defensive, equalizing, anti-bullying TOOL – the fear of which deters way more crime than the police do (see: crime rates in gun controlled cities). We should have a “freedom of education” amendment, prohibiting any government involvement in education other than issuing vouchers to the parents of any kid who can pass a standardized test each year, regardless of how they are taught. A homeschooling mom with a couple kids could get off welfare with that money, right? It’d work better with a husbands help, right? But dumb people might be better off not having kids, right? Best of all, the idea could be extended to Colleges – no govt money or involvement, except for administering standardized tests, regardless of how the knowledge was gained. Education is the biggest item in many local govt expenses, and about 80% of that is payroll to some of the WORST influences on kids. It’s a radical symbol (not only squares but 3rd, 4th, etc. roots). And I suppose that itself is appropriate enough. Is it just me? I see the media pulling out the stops to cover up what exacly happened in Florida. To the point of throwing out whatever anti-bias they’ve tried to pretend they don’t have. It looks like an organized operation. Or contingency plan, if you will. Besides being Fascists…what exactly are they hiding or doing their very utmost to deflect from? OT:What is with these people and cakes? “20.4 deputies outside the school when the police arrived. There have always been cowards, but at least they are diverse. The cowardly moslem deputy trains moslems to shoot for CAIR. Generation-X, Generation-Y and Generation Tide-Pod. 29. Steve, this wasn’t cowardice. As information, in drips and drabs, comes out, it looks like a massive corrupt city and county bureaucracy. I am also including the FBI in that statement. I would also think that it goes without saying that our “free press” is totally involved in helping to deflect and cover up for failed Democrat policies. Realm of conspiracy. It smells like a planned operation. I can’t even say if I hope it was complete incompetence because I don’t know which one would be worse. @33 – Holmes had a point. @34 – Remember back to St Trayvon’s martyrdom… it happens that his criminal offenses were repeatedly covered up by the school system and looks as if /murderers-name-here/’s problems were “minimized” as well. It used to be that schools were responsible for teaching; now we’ve made them responsible for raising, feeding, counseling, medicating, and indoctrination and they’re not very good at it. Decentralize the schools. They are way to consolidated and to many students to know what the heck is going on. The old neighborhood schools where parents knew each other and were a community of sorts had a lot to do with stability in those days.A large campus of students in a gun free zone is like a dream to a psycho with guns, or cars, or knives etc…. 35. KCRob. We’re seeing that here. The city and schools are hiding things. Every other day there is gunfire. No sirens. No reports in newspaper. I thought maybe it was something else, but friends in a town not too far from us started talking about the same thing in their town. We’ve know for awhile the schools have been hiding things. The city helps. The only bright spot is the teachers are armed and more and more people with children in the schools are realizing things are not good and getting worse.